We carry a variety of stock award ribbons that are ready for immediate shipping. 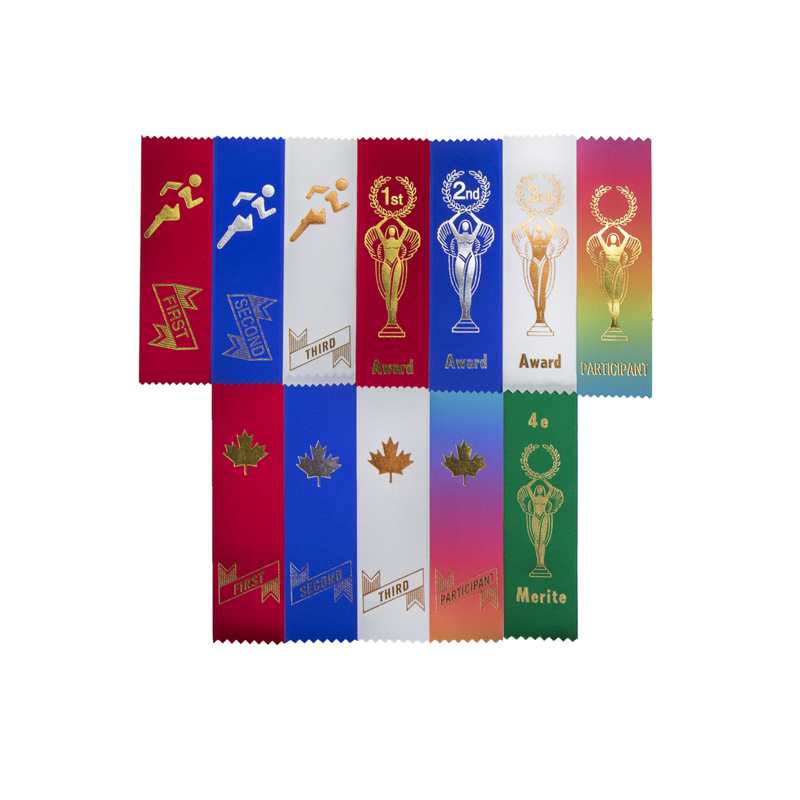 Award ribbons are a simple and economical way to recognize success! We use top–quality materials and a hot foil stamping process to ensure that your ribbons have a bright, lasting finish, and our ribbon specialists work hard to ensure that your order exceeds your expectations.